Is there anything more inviting than standing on the beach, smelling the air, and feeling the wind in your hair? Or a leisurely drive in a convertible on a sunny day. Imagine your hair blowing back (not sideways or in your mouth), but perfectly back. This feels so good to me. We like the wind blown look. 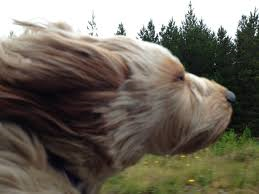 We like the wind blown feeling. Contentment. For that moment, we feel carefree. Even though problems are still there, in that moment we feel like all is well with our souls, lives, families, hearts. Wind blown. Can we hang our heads out the window and enjoy the ride? Can we rush through our morning routine, drop off kids, drive to work, schedule activities, gather costumes, buy gifts, and feel the wind in our hair? Only when we lay our hearts down and ask the Holy Spirit to do His work in our lives and place His words in our mouths. In this hectic life, peace feels elusive. The Holy Spirit is referred to as wind in the Bible. Can we let Him be our wind? Can we believe that He hears and knows? Can we feel the wind in our hair even when our hearts feel heavy or anxious? Sometimes the wind can feel refreshing, sometimes it blows us over, sometimes the wind takes our cares away, and sometimes it knocks things over. Still, I’d rather know He’s there, even in the tornadoes, than question His presence in my life. So, Jesus bring the Wind. He rushed in as a mighty wind. Can we ask the Holy Spirit to fill us like wind? To move in us like wind? To have His way with us like a flag in the wind? I would like to be wind blown by the Holy Spirit. Blown whichever way He wants me…Truly Wind blown. This is the wind in our hair in today’s world. This is where contentment overrides stress and peace passes understanding. Lay it down and let the Wind blow! Is there anything more valuable than God’s wisdom in our life? We search for it like the treasure that it is. We crave it. We just want to know what He wants us to do in any given situation. Ultimately, His wisdom comes with a sense of assurance and confirmation. If the conflict in our heart does not cease, we are not there yet. The answer hasn’t arrived. What our hearts really desire is contentment, fulfillment, and peace. Peace with God leads to peace with ourselves. His wisdom brings peace, even when it’s the hard thing to do. If our hearts just don’t feel right about something, the Holy Spirit is speaking to us. Heed that feeling. Take note and seek wisdom. Remember, that His peace is a gift and a fruit of the Spirit that He loves to give us. We should cherish this gift as His children. Life won’t always be easy. But, if we don’t have peace, God is trying to tell us something. Listen…. I was in a relationship where everything seemed right on paper, but my heart was troubled. I couldn’t figure out why this guy who I assumed must be “the one” because he seemed to have everything on my list, just didn’t lead to peace. I tried to adjust and make changes to help ease the discomfort, but I still had turmoil in my heart. I thought maybe it was me, maybe I just wasn’t used to being really loved and that’s what he was doing. So, I gave it more time. I remained honest with him about my struggles and lack of peace. He reinforced my possible reasons like maybe it was because I was a naturally anxious person, this was new, and I was scared because of my past. He said he was willing to be patient with me and wait until I felt safe enough to fall in love. It wasn’t happening. So, I continued to plead with God to either take the discomfort away or reveal why on earth I had it. Turns out love is more than a “list”. Breakups are never easy, but if there is a lack of peace and comfort, they are necessary and wise. Whether it’s a career move, a friendship issue, a difficult family member, or a romantic relationship question, God has wisdom to share. He is very much active and aware of our concerns. He wants to help. Let’s let Him. Sometimes, His answer is to stay quiet, sometimes it’s to speak up, sometimes it’s to wait. But, when He answers, the best thing we can do is respond quickly. The way the chips fall are on His shoulders, not ours. Thank God we can trust Him with the outcome. This gives us peace. The outcome is His baby and we are His. Rest in that fact. When we pray first and then follow our instincts, we can trust that the Holy Spirit is active. God is in control and He will never let us down. 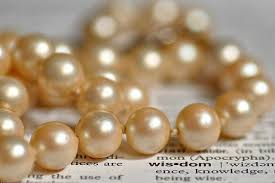 Pearls of wisdom will help us personally and help us help others in the process. God longs to reveal wisdom to those who seek it. It may be a struggle, but the pearls are worth it. Peace is the prize for pearls. “Crying doesn’t indicate you’re weak. Since birth, it’s been a sign that you’re ALIVE”. I ran across this quote yesterday and it got me thinking. There is immense joy in the delivery room when babies let out their first cries. Not only does it mean they are alive, but more than likely healthy. It’s such a relieving and beautiful moment! My heart is heavy for those of us who have been taught that it’s best to stuff our emotions and just “get it together”. If you’re like me, there is a lot more pain in holding back the tears than just letting them flow. It’s in trying to suppress our feelings, that the real damage is done and the most pain is endured. Telling ourselves we don’t or shouldn’t hurt, when we clearly do, doesn’t help the healing process. While we may need to think twice before acting on emotion alone, feeling it is extremely healthy and the best way to process it. I believe that’s why we feel such relief after a good cry. Something about letting the tears come helps our hearts to heal. For the men who were told that “real men don’t cry”, your naysayers must have missed the scripture that clearly says Jesus wept. John 11:35. Jesus cried even when He already knew He was going to raise Lazarus from the dead. He cried out of compassion for his friends. He cried because of overwhelming grief. He cried because He was human. I love that He wept and displayed this emotion. Jesus is the manliest of all men and He wept……for us. Then, He moved forward, overcame, and brought tears of pure joy by raising his friend back to life! I believe I can safely speak for most women when I say that when we see a man cry with sincerity and for good reason (especially one we love), we view it as an enormous strength. Whatever you are allowing the tears to flow for means a great deal to you and allowing us to see them speaks volumes to those who love you. We want to know that you are capable of that much emotion and secure enough to let us witness it. If it matters to you, it matters to us. Our hearts naturally go out to sincere love, joy, and grief in the form of tears because we know they are real. We all long to be real. On a personal note, I never saw my husband shed a tear as our marriage unravelled. I’m not saying he didn’t. I’m just saying I never saw it. I was surprised and greatly moved when he cried during our wedding vows, I saw tears when our first daughter was born, and at the loss of our dog. But, I never saw him cry over the loss of our marriage or me. He had shut down emotionally. Moved on already…..Matter of fact, as tears rolled down my face explaining to our daughter together on our back porch that the split was happening, he told me to “get it together or go inside.” This brought more tears. I share that very personal information as a reminder to us all. Don’t shut down on what matters. Don’t shut down on what should matter. Pray for the Holy Spirit to come alive and active in our hearts. Ask Him to break our heart for what breaks His. Our families are worth shedding blood, sweat, and tears over. Our families are gifts from God. He pays close attention to how we treat each other as His children. We are all worth tears because we were worth His. I cry when I feel overwhelmed with God’s love for me. I cried when I was rebaptized. I’ll catch myself crying at church when certain songs penetrate straight to my heart. I’ve cried tears of love just watching my children sleep, I’ve cried over loss of love, and I’ve cried tears of joy over new friendships. Each time it reminds me that I’m alive and I’m grateful to have loved so much that it overflows. I also believe that Godly sorrow, true repentance, the enormity of grace, feeling truly forgiven, and feeling the warmth of God’s true love can and will bring the toughest of us to tears. He alone is worthy. Jesus cried tears of blood in anguish and determination to do His Father’s will. Raw emotion. Raw love. The next time your brain or upbringing tells you to “pull it together” or “be strong” by holding back tears of joy, love, or sadness remind yourself that Jesus also wept. He created us to produce tears for a reason and I believe it is to help us heal and deal. To cry is proof we are alive and that we love. Let the truth run down your cheeks and may He hold you close, comfort, and continue to bless you. You are loved!